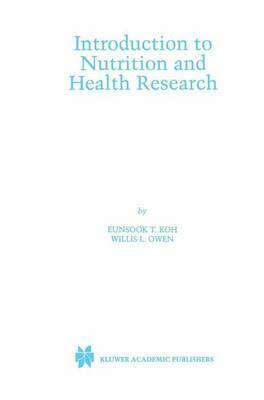 Introduction to Nutrition and Health Research aims to fill a critical gap in dietetics, nutrition and health education literature by providing a comprehensive guide to conducting research and understanding the research of others. Using actual articles, this book teaches how researchers identified problems; how they framed those problems; and how they reported, interpreted and implemented their findings. Step by step, the chapters cover an overview of the process, statistical and measurement concepts, types of research (including experimental, quasi-experimental, descriptive, and qualitative research), how to present results and computer techniques for data analysis. While this book is primarily aimed at masters and doctoral level students and beginning researchers, it will also have strong appeal for teachers, technicians and counselors.